We are leading exporter, and supplier of Industrial Inkjet Printer from last 25 years. Industrial Inkjet Printer gives you high quality prints. Offline Batch Coding is important part in packaging design process. Our Dominos and Video Jet Inkjet Printers are working on sophisticated date codes and traceability codes. It can apply on pouches, rigid plastic pots, cartons, plastic inserts, leaflets, labeling and many more. 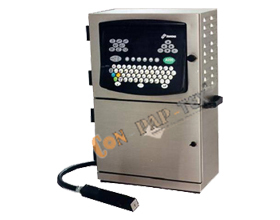 Automatic system with unique 15 digital serial number, 2D barcode, batch, expiry detail and many more.